The latest study, published earlier this month, looked at 1.2 million adults in America to find out how physical exercise affects mental health. 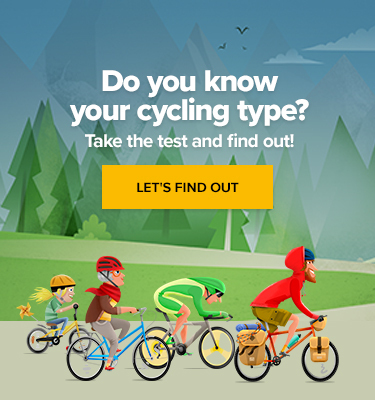 Cyclists placed second among the groups which experienced the least amount of problems. They were second only to team sports enthusiasts. In general, people who exercised suffered 43 per cent fewer days of bad mental health compared with those who did not take part in any sporting activity at all. Researchers looked at the effects of the exercise type, duration, frequency, and intensity. Factors of age, race, gender, marital status, income and more were taken into account. There was a positive correlation between exercise and lower mental health burden, which was reduced by 11 to 22 per cent. A 45-minute exercise three to five times a week was associated with the lowest risk. “Specific types, durations, and frequencies of exercise might be more effective clinical targets than others for reducing mental health burden, and merit interventional study,” the paper concludes. On average, cyclists experienced 21 per cent fewer days of self-reported bad mental health. Need any more reason to head out today?